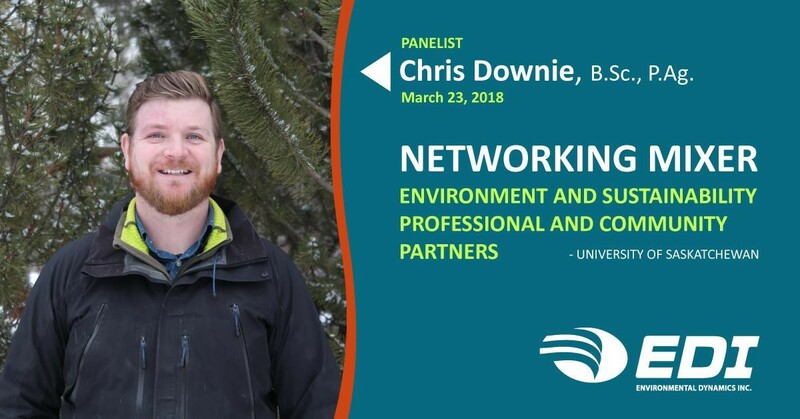 March 23, 2018: A panel of specialists was assembled by the University of Saskatchewan’s School of Environment and Sustainability that included alumni from the biology and environmental sciences programs to speak about how their education led to an exciting career in the environmental field. EDI’s Chris Downie was one of three panelists selected to participate in the discussion and respond to questions. Chris works from our Saskatoon office, leading environmental studies and helping our clients build their projects with sustainability in mind.